Netgear's flagship router - the Nighthawk X8 (R8500) - was launched in October. At CES, Netgear took the opportunity to upgrade the Nighthawk X4 line. Interestingly, the original X4 - the R7500 - was launched with Quantenna radios and a Qualcomm IPQ SoC, and promised MU-MIMO support in a future firmware update. However, Netgear decided to enable MU-MIMO only with a hardware upgrade - the R7500 v2 with full MU-MIMO support became an all-Qualcomm Atheros affair. The R7500 v2 is being replaced by the Nighthawk X4S at the same price point. The Nighthawk X4S (R7800) comes with an IPQ8065 dual-core SoC at 1.7GHz and the QCA9984 radio. Unlike the AC2400-class routers introduced towards the middle of last year, this 4x4 design supports 160 MHz (either contiguous or 80MHz + 80 MHz) and MU-MIMO out of the box. Client support is needed in order to take full advantage of both these features. The router has a MSRP of $270 and is available now. A wall-plug Wi-Fi extender with MU-MIMO capability (EX7300) was also launched at CES. It belongs to the AC2200 class - 4x4 1733Mbps in the 5 GHz band and 3x3 450 Mbps in the 2.4 GHz band. The antennae are internal and the unit also has a GbE RJ-45 port. The extender is available for purchase now and is priced at $170. At the $140 price point, Netgear is launching the EX6400, a AC1900-class extender with 3x3 spatial streams in both the 2.4 GHz and 5 GHz bands. 256-QAM support exists for the 2.4 GHz band. The EX6400 can also be used as a Wi-Fi access point. 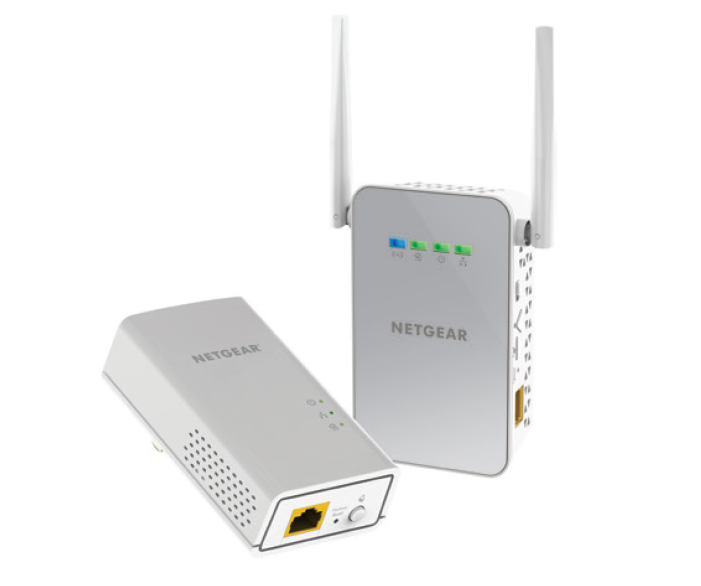 On the PLC side, Netgear has introduced the PLW1000, which combines powerline technology with Wi-Fi. Based on the HomePlug AV2 standard, this adapter can support up to 1 Gbps of theoretical throughput. In addition, the PLW1000 also creates a Wi-Fi hotspot at the place of installation. While not explicitly specified, we believe this is a 1x1 configuration for both 2.4 GHz and 5 GHz bands. It is marketed as a 802.11ac access point. The PLW1000 is priced at $120 and is available now. Netgear also launched the C6250 Wi-Fi cable modem router. The DOCSIS 3.0 modem supports bonding of 16 downstream and 4 upstream channels. The Wi-Fi side is AC1600, i.e, 2x2 in the 2.4 GHz band (300 Mbps) and 3x3 in the 5 GHz band (1300 Mbps). The C6250 has a MSRP of $170 and will be available for purchase soon. In ReadyNAS news, Netgear had the RN20x and 21x series on display. One of the interesting aspects was the tie-up with Plex. On purchase of models such as the RN202, RN204, RN212, RN214, RN312, RN314, RN316 and RN516, customers can obtain three free months of Premium PLEX Plus. 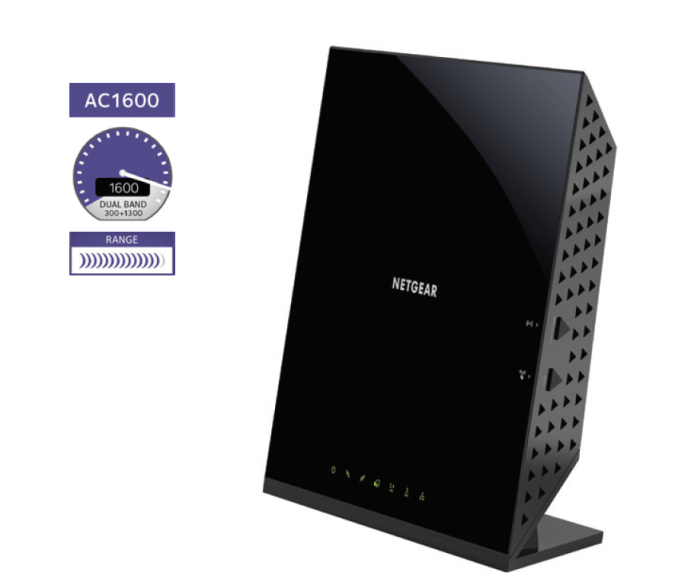 Netgear launched the C6250 Cable modem-router at CES? Sounds very strange... I have that exact model (C6250) and have had it for over 6 months. I dont know why i missed it. May be because Netgear didn't do enough marketing to make their point across, or may be most of their previous product were too crap. The router needs to be disconnected from your laptop or computer, power supply and modem.